Established in 1926, the Pontiac Motor Division was a proud member of the General Motors family since day one. For most of its life, Pontiac was among the top sellers and a valuable addition to the lineup. But in the first few decades, from the late 1920s to the early 1960s, Pontiac was an economy brand. And it was close to Chevrolet in pricing and model selection. However, from the early 1960s onwards, Pontiac got the performance brand image that suited it the best. In those days, Pontiac singlehandedly introduced the muscle car movement to the mainstream car market. They presented numerous powerful, fast models. And they were active in racing until 1963 when there was a corporative ban on all racing activities. So, during the 1970s and 80s, Pontiac’s performance reputation stayed. But their models were less exciting despite producing some interesting cars. However, in the 1990s and early 2000s, Pontiac became just a pale shadow of its former self. GM invested in it, but without much success. So, in 2010 they discontinued the Pontiac brand in a controversial move that sparks debates to this day. Read on to get an interesting introduction to the world of obscure, lost and forgotten Pontiacs. You are not going to learn about those glorious GTOs, Firebirds and Trans AMs or those disappointing Pontiac Aztecs or Sunbirds. You will take a trip through Pontiac history learning about the cars that even the biggest Pontiac fans have trouble remembering. However, the following models could be the next big thing in the classic car world. 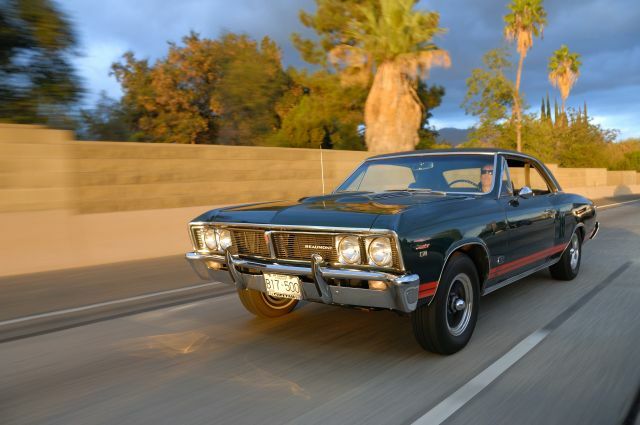 Although the Bonneville nameplate is famous, most Pontiac aficionados connect it with those late 1960s and early 70s full-size sedans. However, they introduced the Bonneville in 1958 as a separate model. In fact, this was the car that started the whole performance image for Pontiac. In those days, Simon “Bunkie” Knudsen was the head of the Pontiac Motor Division. He wanted more excitement for the brand, so he took a Star Chief model and gave it a full makeover. He improved the design and added a gorgeous rear end that mimicked a rocket engine. Also, he included the most powerful engine Pontiac had to offer. The 1958 Bonneville was available only as a two-door hardtop or convertible, emphasizing its performance appeal. Under the hood was a 370 CID V8 engine that produced 255 HP in its base form. For more power, there was a Tri-Power option with 300 HP, as well as a top of the line fuel-injected version with 310 HP. With this engine, the 1958 Bonneville was one of the most powerful and fastest GM cars of the day. Thanks to its performance and beautiful design, they chose the 1958 Bonneville to pace the Indianapolis 500 race. The Bonneville had moderate success on the market. In fact, Pontiac managed to sell over 12,000 copies. Today, knowledgeable car enthusiasts appreciate this car, but the general automotive public doesn’t know about it. But the performance reputation of the early Bonneville was a prerequisite to the GTO and other future muscle models.